In most people’s minds, there is a drawback to having a mortgage—the interest paid on the loan. Paying interest means spending a lot of extra money each year on the money needed to buy a home, but most consider it a necessary evil. However, that may not be the most correct way to think about a mortgage. There are advantages to having a mortgage. Every year home owners can deduct the interest they pay on a home loan from their income taxes. When you consider the fact that today’s home mortgage interest rates are at the lowest they have been in two years, and are close to the lowest ever in recent history, what a home owner pays out and what they gain on tax savings may take all of the sting out of buying a home. National home lending institution Freddie Mac’s survey of banks showed that the standard conventional 30 year rate for a home loan is right at 3.69%. For 15 year fixed rate home loans it is even lower, averaging about 2.99%. That is a substantial drop from the beginning of last year. The lower interest gives home buyers an advantage on purchasing power as well. The big drop in interest rates means today’s home buyers have about a 10% advantage in purchasing power and can afford more home for their dollar. When considering how much you, as a home buyer, can afford on a monthly payment, a lower interest rate means more of that money can go to the actual cost of a home instead of paying interest on the money borrowed. Better interest rates also mean refinancing makes a lot of sense, too. Existing home owners get much more value for their dollar when refinancing to a lower rate, whether they are looking to cash out equity or simply lower their monthly payments. 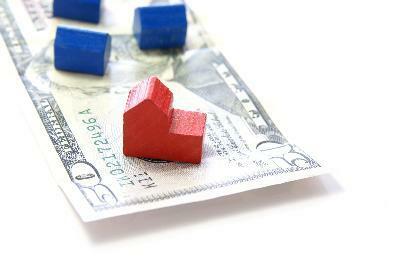 When filing income taxes each year, home owners can come out ahead by itemizing deductions. It is a little more effort, but the results make it worth the time spent on the additional paperwork. For the home owner, there are several advantages in the tax code. The current tax code allows home owners to deduct the interest they paid for the current year. Even though the amount of interest included in each payment shows up on every monthly statement from your mortgage company, you do not have to worry about keeping track. Your mortgage lender will send a form at the end of the fiscal year showing the total amount of taxes you paid on your loan in the current tax year. This is not something to forget about. The mortgage tax break is often one of the largest tax deductions home owners have available to them. Mortgage interest is deductible on both first and second mortgages if there is one. Home owners can deduct the interest on home equity loans (HELOAN), mortgage lines of credit (HELOC) although there may be some restrictions. One type of restriction is on home owners who borrow more than the property is worth. Interest paid on the amount of the loan over the property value is not deductible. Most home owners do not have to worry about that issue. Discount points that home owners can pay at closing to decrease interest rates are also deductible. They are prepaid interest, therefore deductible on taxes. However, mortgage insurance is not deductible anymore. At one time, home owners were allowed to deduct the money spent on mortgage insurance, but after Dec. 13, 2013, it was no longer allowed. Home owners can also save big by deducting the money spent on property taxes. The IRS tax code allows all home owners the advantage of deducting the taxes paid to the county in the year they’re paid. This is true even for home owners who do not have a mortgage to pay. Home owners who are paying a mortgage will receive a 1098 from their mortgage lender showing the money paid into escrow for taxes, and also the money paid in interest. Some home improvements that add both value to the home and energy savings are tax deductible. These improvements can be structural such as energy saving windows, or appliance replacements like EnergyStar rated refrigerators, water heaters and more. The government has a website at EnergyStar.gov that helps home owners see what tax breaks they are eligible for. An EnergyStar stamp on an appliance is a good indication that it is eligible for tax savings, these savings are only good in the year the appliance is purchased, however. Some of them are also available on local or state taxes too. Homeowners should always look for energy saving advantages when considering changes to the home. Keep all receipts for filing on new systems added to the home that are eligible for energy savings tax credits like new geo-thermal heating systems, solar or wind improvements. Home sales occur at all times of the year. That can mean a little bit of a complex arrangement on property taxes that are pro-rated for the time the home was owned in a particular year. If you sell a home, you may be liable for a capital gains tax, however, sales on primary residences up to $250,000 (or $500,000 for married couples filing jointly) are not taxable. You do not have to pay taxes on the income if they have lived on the property for at least two of the five years leading up to the sale. Home owners should be aware that profits over the amount allowed are taxable. Capital gains taxes are higher than income taxes. Home owners who purchased a home using a federal tax credit or other down payment assistance program and who do not meet the occupancy requirements may be liable for taxes on all or a portion of the sales. Some tax relief may be available in the above situations if there were health issues, employment issues or other circumstances out of your control.